Just checking in to say Happy New Year and I apologize for it being so quiet here. Things tend to get a little crazy during the holidays and this year was no exception. The new Friday Night Frights book, She-Wolf, Take a Bow, is currently going through a second draft. I hope to have that out to beta readers soon and have it done by March or April. After that, I'm looking to finish my first fantasy novel and hopefully knock that into shape so I can start shopping it around. After that, I have another entry into the Astrogirl series written, as well as a sci-fi novel that features loads of giant monsters and robots. No timetable for those just yet but I'll keep you updated on them as they progress. Keep reading and I hope 2019 is good to you! Christmas and horror movies seem to go as well with each other as peppermint and schnapps. From Black Christmas to Gremlins to Krampus, there is no shortage of them. Maybe it’s the idea that is should be such a peaceful and loving time that makes it such a fertile ground for frightening scenarios. Maybe it’s because some family gatherings are so nightmarish that a slasher on the loose seems like a fine change of pace. Either way, when the season rolls around, I’m always happy to throw a couple on and get in the spirit. Some of them can be downright horrid, which is why it is a pleasure when you find a gem of a movie out there that you want to keep in your holiday rotation from that day on. Anna and the Apocalypse is such a film. On the cusp of the holiday, a group of seniors at a Scottish high school have their futures ahead of them and their own problems to deal with. Anna wants to graduate and go travelling, much to her widowed father’s dismay. Her best friend John pines for her and wants her to stay. Steph is dealing with a girlfriend that doesn’t want to be with her on Christmas and parents that seemingly feel the same. Their friend Chris needs something real to say with his show reel, something that sells him. Lisa wants Chris and herself to be together forever. Their headmaster just wants the students to obey his every word. And also to use hand sanitizer, because there is a killer new bug going around. You might have a guess as to what happens when you contract said bug and, on the evening of the school pageant, the infection makes its way to the town, bringing along the zombies it creates. Now, the friends must band together as they try to find a way to survive a zombie apocalypse while singing and dancing through the most bloody Christmas of their lives. While the beats are standard for a lot of zombie films out there, some even straying quite near to Shaun of the Dead, the music and the heart of the film set it apart from the pack. Indeed, the musical numbers and so well done and catchy that it’s hard to leave the theater without an ear worm stuck in your head for the rest of the day. “There’s No Such Thing as a Hollywood Ending” is the promoted single from it and somehow also not the best in the film, which is great praise as that song itself is a great, toe-tapping number. The fact that the movie is filled with these guarantees you will be bopping your head throughout the runtime, especially when they are set to some rather brilliant choreography. The cast is a solid bunch and all have the pipes to perform their singing duties and then some. If there’s a weak link among them, these ears couldn’t hear it. Most of the songs are ensemble pieces too, so you’ll hear them all singing plenty of times. In their regular speaking roles, they are excellent as well, and in a short amount of time manage to create likeable characters that we are invested in seeing through until their ends. Not a small feat in horror movies, where it seems like so many are despicable or played so badly that you can’t wait until they are killed. Anna, played by Ella Hunt, is the standout in the title role, but her co-stars aren’t far behind and show off some amazing talent that will serve them well in their hopefully long careers. The villain, played by Paul Kaye (Thoros on Game of Thrones) gets to sing as well, evoking a performance that was so reminiscent of Richard O’Brien that I had to check to make sure it wasn’t actually the latter. 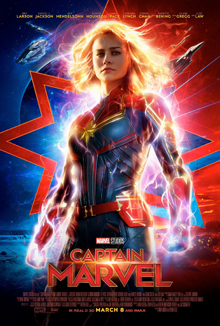 Director John McPhail and the screenwriters (not to mention the songwriters) had an amazing task before them in getting all of these moving parts together and with great skill, managed to make one fantastic movie, one that should be part of your holiday tradition for years to come. I’ll be looking forward to see what they come up with next. Anna and the Apocalypse is currently in theaters now. Check it out. Well friends, I did what I set out to do. I won NaNoWriMo this year by laying down over 50,000 words into a new fantasy novel I've had percolating for some time. In fact, it's been bouncing around since the early 90s, where it drew inspiration from a character in a short-lived D&D campaign I played in. It looked a lot different then and was more of a power-fantasy than anything substantial, so I shelved it. Then a year or two ago I started thinking about it again and how everything could play out differently. That led to a quick outlining session and I knew that it would be the book I worked on this year. The bad news? I'm only a third of the way done with it by my estimation, so it's going to be awhile before you can see the fruits of this labor. On the bright side, I have put down the finishing words into She-Wolf, Take a Bow and will start revising that this week, so you will have that to look forward to. All in all, it was a productive endeavor, but one that really takes it out of you. It's something I both love and hate. I love NaNo because it gets me pretty far along in a novel and forces me to write. I hate it because doing a set amount of words a day can be sort of a slog. Though I write just about every day anyway, this feels less organic and as such, you might not be fully putting your heart in it at times, which will show when you are revising. I'm feeling good about this one as the size of the outline meant I was never just spinning my wheels for word count and I'm looking forward to finishing it up. I'll keep you updated, as always. Greetings. It's been a busy October for me. In addition to hitting a variety of horror conventions and comic conventions, I've also been working diligently on a few new works. The first up is the latest in the Friday Night Frights saga, tentatively titled She-Wolf, Take a Bow, which I've almost completed the first draft on. Next up is the outline for a romantic comedy called Whiskey and Misery. It's a little bit Californication and Friday the 13th. I know neither of those really scream rom-com but you'll just have to trust me on it. No idea when I'm going to start work on the draft but I'm happy with the way it is shaping up so far. Finally, I have the outline for my NaNoWriMo novel this year finished. I tend to do outlines as it helps me stay on track. Even a simple one is better than nothing and lets me look back to check something in case I forgot a plot point or need a refresher on a scene. This is going to be a new genre for me as it is a fantasy novel. I have a bunch of titles for it and at one time it was called The Goblin King, but that changed when working on the outline. On the NaNo site I have it listed as The Goblin and The Witch, which is closer to what the story is about but I'm not quite in love with it. I feel like it needs to be something more epic. Like the Days and Nights of Molly Dodd. Wait, that's already taken.You get the idea. If anyone else is doing NaNoWriMo this year, feel free to hit me up and write along with me. It's been 40 years since the original Halloween graced the screens of theaters across the nation, giving us a boogeyman like no other in Michael Myers and creating a popular horror film franchise that has endured throughout the years. However, it has been almost ten years since the last entry and the second attempt to revitalize the series so the presence of the Shape has been sorely missed on the screen. For those just joining us, the first attempt to discard the unwieldy continuity of the Halloween series (discounting Halloween 3: Season of the Witch, which was an attempt to create an anthology series out of the brand) was Halloween H20: 20 Years Later. Said movie (which also happened to be the last one I saw in theaters) discarded the later films and picked up after Halloween II with Michael Myers still on the loose and Laurie having faked her death only to find that her brother has found her and is hunting her once again. This spawned a follow-up film that was widely derided, even with Busta Rhymes performing kung-fun on Michael Myers. The second attempt was by Rob Zombie and remade the first film and added more backstory as to why Michael was the way he was and resulted in a movie that had a mixed reaction amongst fans. The sequel had the same reaction and the series went dormant after that. 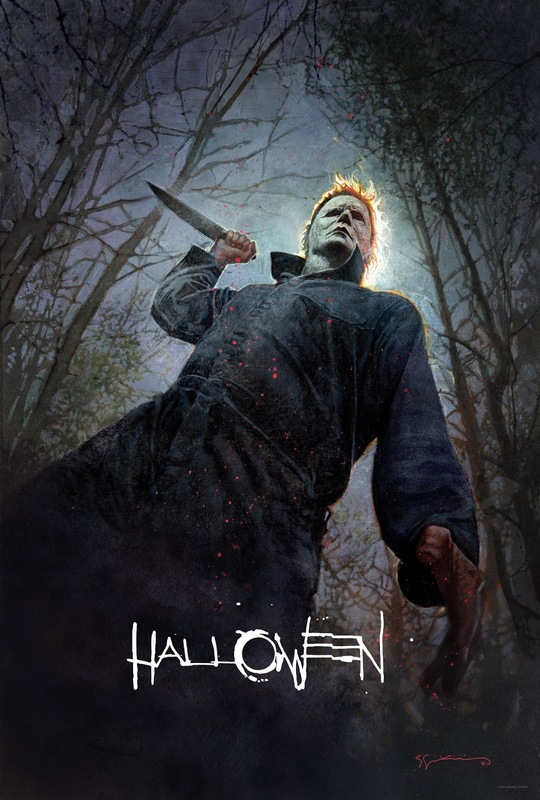 This new iteration follows the same route as H20 but goes even a step further and serves as a direct follow-up to the original Halloween. Forty years later after the Haddonfield massacre, Michael Myers is locked up securely in Smith's Grove Sanitarium and Laurie has never quite gotten over the night a stranger came into town, killed her friends and tried to do the same to her. As a result, she's been preparing herself and her family for the inevitable night that the Shape once again comes home to Haddonfield. What makes him decide to escape after so long? That can be attributed to the appearance of two Serial-esque podcasters showing up to interview him (he doesn't say anything) while working on an episode based on the Haddonfield Murders, even bringing along the mask to show him. That was a mistake, as during a transfer to a more secure facility, Myers escapes and a new night of horror begins that will lead to a showdown between the killer and the victim who escaped him so many years ago. The director of the new movie, David Gordon Green, as well as his co-writer, Danny McBride, are known more for their comedies. However, they bring the horror this time around and do it well in a tightly directed piece that lovingly homages previous films in the series but doesn't go overboard with it. Fans of the series will notice these Easter eggs sprinkled throughout the film that enhance and never distract, which helps to not alienate newer viewers. But Green doesn't just ape what has come before and creates new scenes to go down in a series full of iconic shots. One particular standout for me is in the sanitarium when we are introduced to Michael. It's a beautiful and eerie courtyard made of a red and white checkerboard that looks like it could be something out of an Argento film. The sound design in that scene is as unsettling and alien as the location, culminating when the mask is revealed and the inmates all around Michael know that evil is stirring once again. Halloween's cast is superb. Jamie Lee Curtis returns to the role she originated and plays it well and with more depth than she was given in the script for H20. Her Laurie Strode is a traumatized survivor and it has affected her own life and those of her daughter and granddaughter. But that doesn't mean she's running scared. No, this Laurie Strode isn't so much hiding as she is waiting for that day she knows is an inevitability and has prepared for it as such. Judy Greer plays her daughter and does what she can with an underwritten role and shines in it. Newcomer Andi Matichak does a great job as the youngest Strode, Allyson, who finds herself and her friends caught up in the mayhem of Myers' rampage and learns that her grandmother wasn't overselling the menace. Will Patton plays an officer who knows as well as Laurie the horror Myer's is capable of inflicting on their town and vows to stop it. The violence comes fast and furious in this film. Gone is the almost playful Michael who will stalk his victims for hours and toy with them. This Michael Myers is full of pent up rage and he lashes out with it indiscriminately, sparing few from the fruits of his madness. The brutality brings to mind the original Halloween II, where he displays a similar viciousness, and also the Zombie remake. 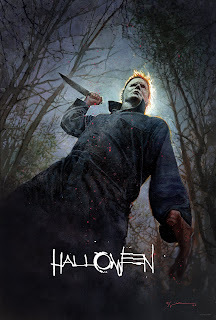 Myers is a superhuman force to be reckoned with, using his bare hands and his trusty knife to savagely dispatch his victims. That's not to say there isn't suspense. Interspersed are some truly terrifying and tense moments where he closes in on his next target, leaving us unsure of where he might pop up and if they will escape. Once scene in particular involving a security light is particularly harrowing along with the scene in the restroom that you might have seen in the trailer. John Carpenter, who scored the original as well as directed it, returns with his son Cody and Daniel Davies to supply the music and it is fantastic. Old cues and themes are remixed and new ones added, all featuring the trademark Carpenter sound but with more depth the them, reminiscent of his Lost Themes album. The tracks never overpower and serve to heighten the action on screen, a welcome change from movies that are looking to sell a soundtrack instead of a scare. All of this adds up to a solid entry in the Halloween series and creating a film worthy of being a direct successor to the original. The story is solid, if a little light on some backstory elements, with scares that come at a regular pace but never enough to overwhelm. Some levity is injected into parts, no surprise considering the authors, but these moments never overpower the horror or turn it into a farce. There are a few missteps in the film that make it stumble, such as a reveal late in the second act that is resolved nearly as soon as it arrives and doesn't serve much purpose. It doesn't derail the movie though and we are back on track soon enough on our way to the final showdown. Also, for those interested, the mask is damn near perfect. After years of getting masks that seem progressively worse, its nice that they can finally get it right. Check it out at a theater near you.